An innovative design for an autonomous refuse robot has been launched by AI Incorporated, Canada’s pioneering robotics and artificial intelligence research company. An innovative application for mobile robotics, the new AI improved robotics system puts forward a device with the ability to autonomously move to the curbside and wait until the pickup truck arrives at pre-scheduled times. Scheduling is done by using an APP, and hence, status can be checked in real time. If the robot needs assistance with navigation or gets stuck, it can be controlled by the user through the APP. By putting this innovative application in mobile robotics to use, the company aims to use its Simultaneous Localization and Mapping (SLAM) technology in combination with deep learning to launch the next generation of robots. The autonomous refuse receptacle robot is an application for the Versatile Self Localizing Autonomous Platforms (VSLAP) developed by the company. An innovative robot proprietary software, known as the Quantum Slam Operating System (Q-OS), assists companies in mobilizing any given machine. This invention will render the emptying of trash cans by humans a history. Upon nearing the pickup time, the bins will plainly travel from their post to be emptied. Robots are the perfect solution for eliminating those tasks which humans do not wish to conduct. 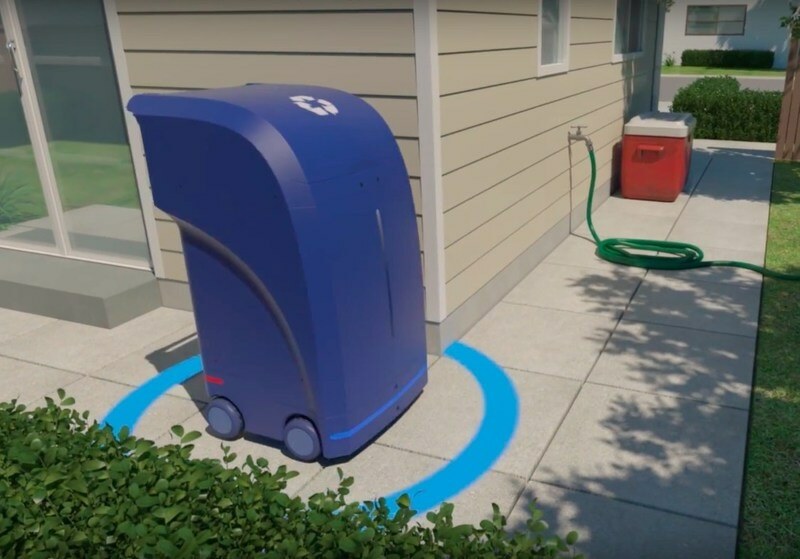 With our cost-efficient Q-OS SLAM solution, it is now economically viable to automate trash cans that autonomously navigate to the curbside when the truck arrives! Ali Afrouzi, CEO of AI Incorporated and bObsweep Inc.
Robotic devices such as these include a comprehensive navigation system that uses a combination of computer vision, deep reinforcement learning, and SLAM. These devices will have the ability to map their surroundings, travel autonomously, correspond with other devices, and monitor their internal contents by using a wide range of sensors.